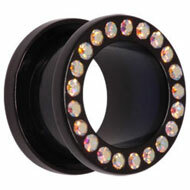 Get yourself some stylish bling with our range of jewelled flesh tunnels! These eye-catching tunnels really show off your stretchings and they look glamorous at any gauge. 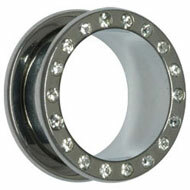 They come in a great choice of colours, sizes and materials, so you can find the perfect tunnels for your piercings. 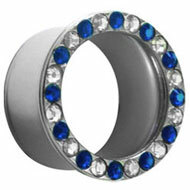 A bit of sparkle is always a good idea, and it’s easy to light up your look with these fabulous flesh tunnels. 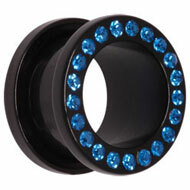 Our jewelled acrylic flesh tunnels are lightweight, comfortable and inexpensive. These tunnels start at just £3.95 and come in a choice of colours. 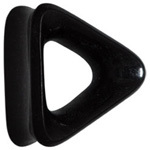 Acrylic is a great material for flesh tunnels because it is durable and lightweight. 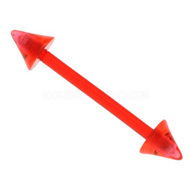 These tunnels have a screw back for easy insertion and come in a great range of sizes. 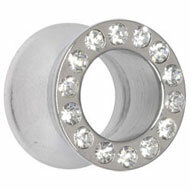 These steel flesh tunnels have a bright shine that looks gorgeous with the sparkly jewels. We have a choice of different jewelled steel tunnels including the single flared, chunky double flared and screw-front flesh tunnels you can see here. They are all made from high quality 316L surgical steel that is extremely comfortable to wear. For complete comfort, I recommend our jewelled silicon flesh tunnels. The silicone is soft and flexible, so it feels very different on your skin. It squashes down under pressure, meaning that these tunnels won’t press into the sides of your head when you sleep or wear headphones. They are non-irritating and ideal for easily irritated stretchings. This entry was posted in Stretching Jewellery and tagged Acrylic Flesh Tunnels, Flesh Tunnel, Flesh Tunnels, Jewelled Flesh Tunnels, silicone flesh tunnels, Steel Flesh Tunnels, Surgical Steel Flesh Tunnels on December 4, 2012 by Piercing Guru. 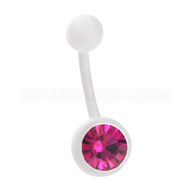 Comfort is one of the most important factors when choosing body jewellery and flesh tunnels are no exception. 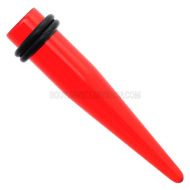 The tunnels that I find most comfortable are silicone flesh tunnels. Silicone is soft and flexible, so silicone tunnels are completely different to any other kind of jewellery. They are easy to insert and really comfortable to wear. 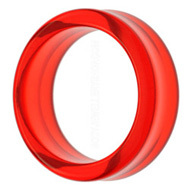 If you find traditional flesh tunnels hard or uncomfortable, I recommend checking out silicone flesh tunnels. Tunnels are generally comfortable anyway but if there is pressure on the ear area they can push into your skin. For example when you are sleeping, wearing big headphones or a helmet of some kind. A silicone flesh tunnel will simply squash under the pressure, so it doesn’t push into your skin at all. Personally I like to wear big headphones instead of those little in-ear things and silicone flesh tunnels are just so much more comfortable to wear underneath. 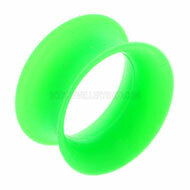 Silicone flesh tunnels are surprisingly cheap and here at BJS we have a great choice for under £4. These tunnels are all high quality and affordable – plus they come in gorgeous colours that allow you to really make a statement. 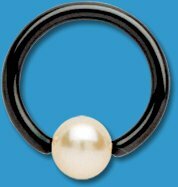 This entry was posted in Silicone Body Jewellery, Stretched Piercings, Stretching Jewellery and tagged Flesh Plug, flesh plugs, kaos silicone, silicone flesh plugs, silicone flesh tunnels, silicone stretching jewellery on February 16, 2011 by Piercing Guru. Get a simple, stylish look with white body jewellery. White body jewellery makes a great alternative to traditional silver and black jewellery and it really makes your piercings stand out. There are many different materials that can be used to create white body jewellery, including two of the most biocompatible: silicone and Bioplast. I like wearing white body jewellery when I want to simplify my look. I usually wear a lot of wooden and silver body jewellery, so white jewellery gives me a fresh new look. 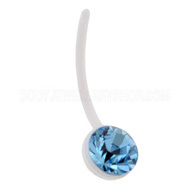 Bioplast is a biocompatible plastic that looks and feels great in your piercings. It is extremely lightweight, flexible and hypoallergenic. I recommend white Bioplast body jewellery if your piercings are irritated or often sore. It actually reduces healing times and lymph doesnâ€™t stick to it, so it gives your piercings ‘a break’ from traditional jewellery. These are just some of the white Bioplast items that we have here at Body Jewellery Shop and I love the clean look it gives. This entry was posted in BioFlex Body Jewellery, Silicone Body Jewellery and tagged BioFlex Piercing Jewellery, kaos silicone, silicone flesh plugs, silicone flesh tunnels, silicone stretching jewellery on December 8, 2010 by Piercing Guru.